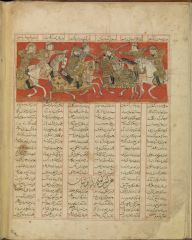 These folios are from a copy of the Shahnama (‘Book of Kings’) made in the city of Shiraz in south-western Iran in AD 1341. 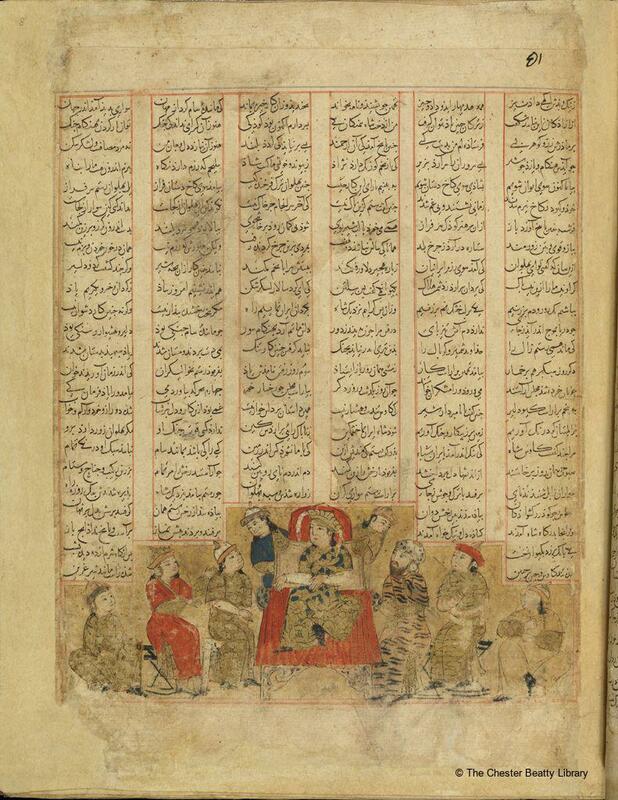 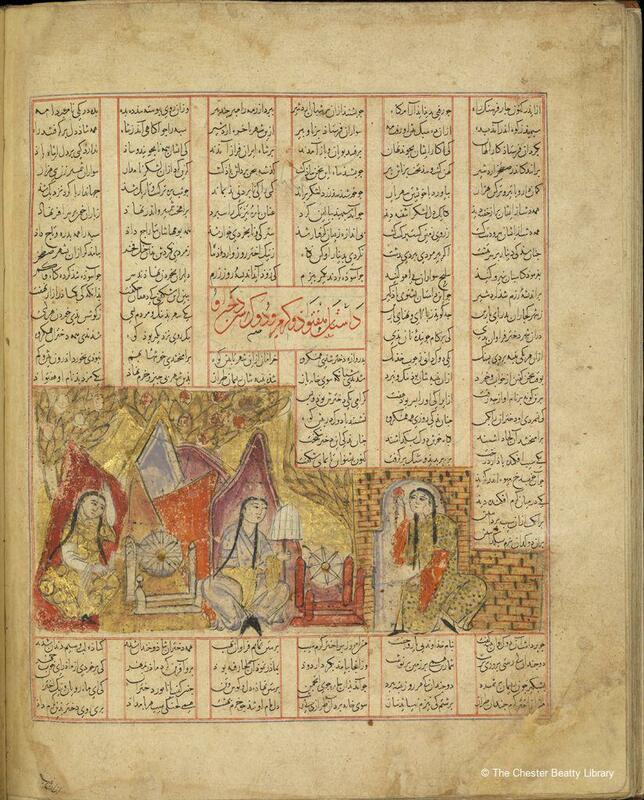 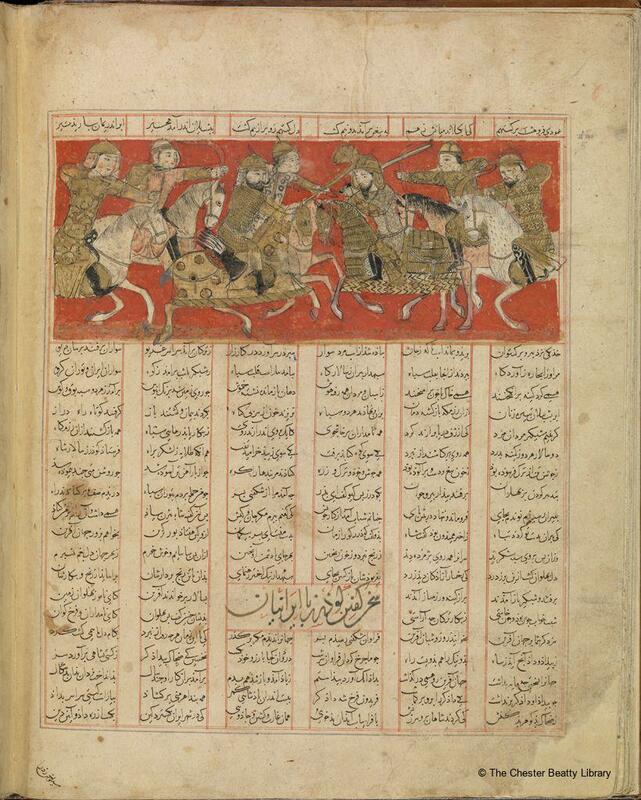 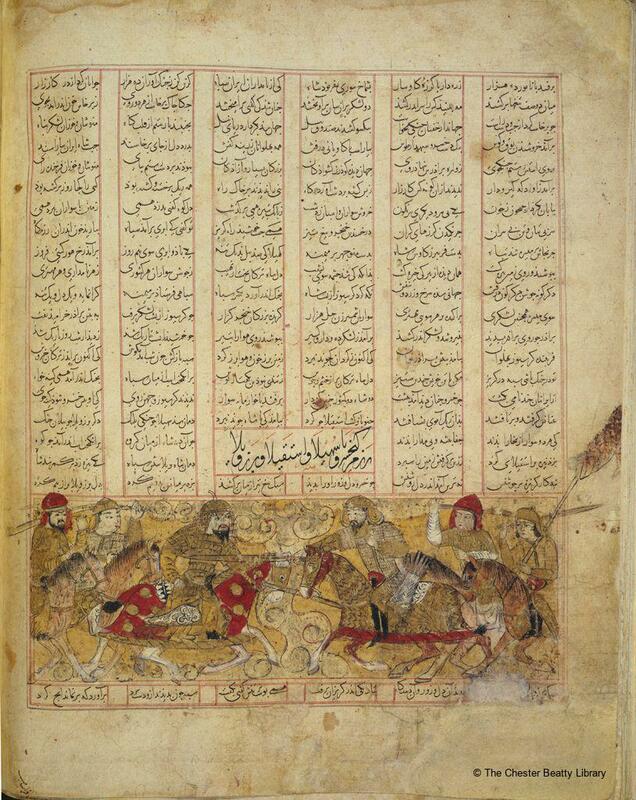 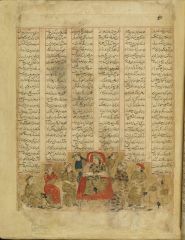 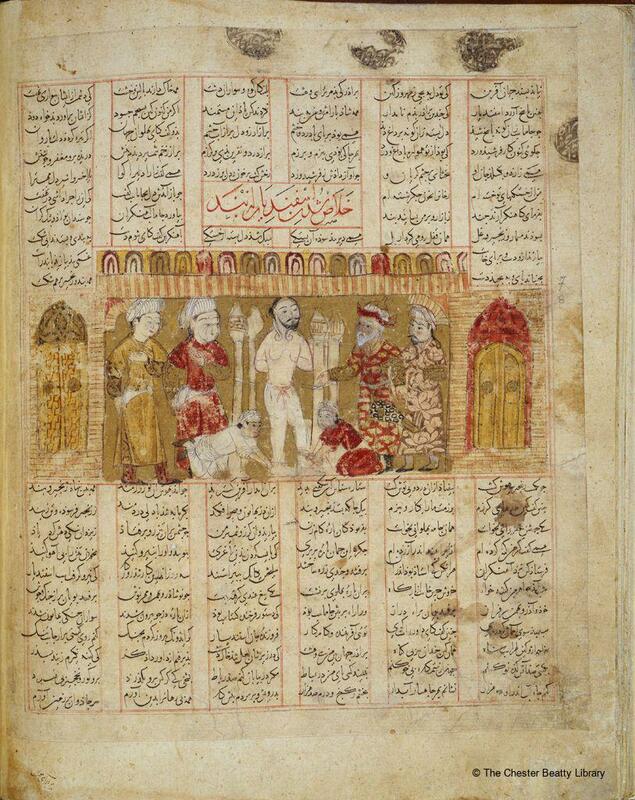 The manuscript was produced for Qiwam al-Din, a vizier of the ruling Injuid dynasty. 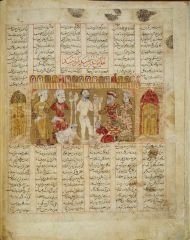 The illustrations are in a horizontal, rather narrow format dominated by large figures executed in what appears a rather unsure hand. Backgrounds are red, gold or unpainted, and vegetation consists of oversized and simplified forms. 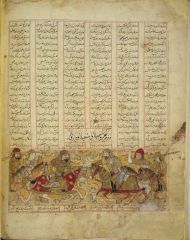 The manuscript is now dispersed with folios from it held by many museums and libraries.